Av. Boavista is one of the main commercial thoroughfares in Porto, and it is actually quite pleasant for running. A tree-lined, paved pedestrian/bike path runs along the median for about half of the 5 km route of this wide avenue, which is lined with sculptures by noted artists. We have two options here: a 10k out and back on Boavista, or a loop along the seaside promenade and through the Foz neighborhood. Start at the Rotunda de Boavista, where the contemporary Music Hall is located, and run to the western end of the avenue, which terminates at the ocean at the Castelo do Queijo, right next to City Park. It’s a steady hill down, heading toward the water and a steady climb back into the city. You can also run about 1.5 km in City Park, for a greener option. Then, either head back on Boavista or do the loop option, which adds 1.5 km. Loop option: Head south on Avenida do Brasil,along the waterfront path and then turn LEFT on pretty Rua de Diu, which runs into the wider Av. do Mal. Gomes da Costa, and head east back to the Rotunda, passing the . The Av. is not as pretty, but has tiled sidewalks (!) and a grassy median (but no path). Nice detour: At the Museu Serralves contemporary art museum, Parque Serralves— 18-hectare park with formal gardens, wooded areas & sculptures. Can do nearly 1 km in here. Add-Ons: City Park hugs the northern side of Av. 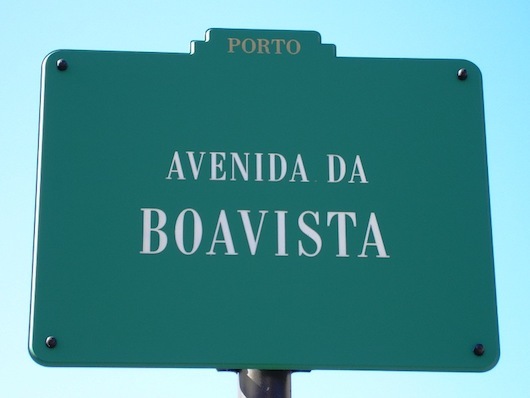 Boavista and has 10 km of paths; Once you reach the ocean, there is lovely waterside running in either direction, especially south toward Foz.